Hi everyone, another post I know its kind of crazy but I think im getting my blogging mojo back right now and have quite a few blog posts in mind, I was actully going to take a tone of pics for my blog today but I have become ill, better just be a 24 hour thing as im working tomorrow and friday then its my birthday so I really need to feal better for that. 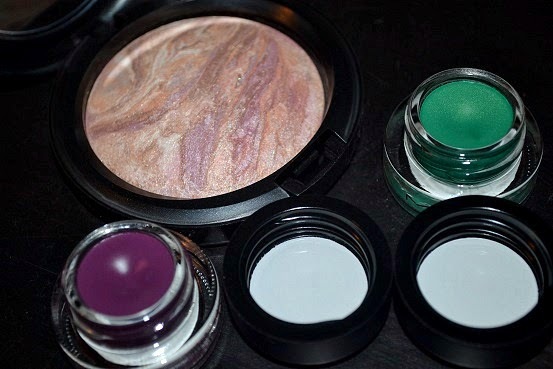 Anyways today my post is on a haul I did from MAC a fantasy of flower collection. 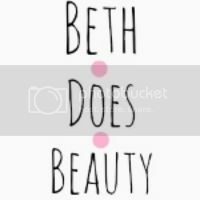 god I loved this collection and wanted a few more bits but think I will wait and see when they come out on debenhams and also mac are bringing out some more amazing collections in the next few months aswell so going to save for them. Anyways the good thing is this collection was avalable with your pro card so I got this lot for about £36 or something. I bought the Perfect topping MSF. this is a beautiful MSF for highlighting I can not wait to use it, I think its a little simuler to soft and gental but I dont have it so will have to pick it up and have a look. these are £22 and is still avalable of selfridges and I think will be out on debenhams soon as well. 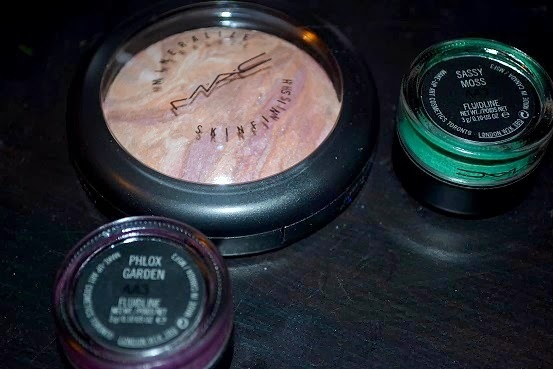 Next I bought both the fluidlines from this collection, phlox garden is a beautiful purple which some people say is the fluid line of heroin lipstick, im actully going to be using this on saterday as winged eyeliner and im so exited. these retail for £15 and again is avalable on selfridges. the second one sassy moss. its a lovely light green cant wait to wair it as well. 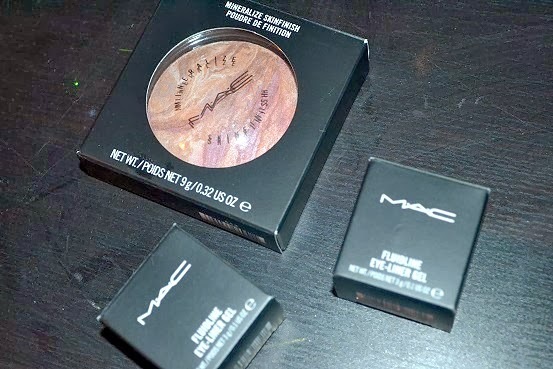 so that is my little haul from the new MAC collection, did you get any of the stuff from the collection.